We wish we could hide our excitement with regard to the upcoming NBA Finals matchup between the Golden State Warriors and the Cleveland Cavaliers, but we can’t. And we shouldn’t have to. This is the series we were hoping for. This is the series the National Basketball Association “secretly” wanted; the one that basketball fans deserved. This is a series with the potential to be truly special. On June 4, the best of the West and the beast of the East will take center stage at Oracle Arena, with basketball supremacy on the line. When the postseason began, both these clubs came in sporting super potent offenses. The Warriors were first in the league in points per game (110) and had the second best offensive rating in the NBA (111.6). The Cavaliers were eighth in the league in scoring (103.1 points per game) and had the third most efficient offense, with a 111.3 offensive rating. But these two squads aren’t just about putting the ball in the basketball — they are about preventing buckets. Golden State finished the regular season with the best defensing rating in basketball (101.4) and have carried that mindset over to the playoffs. 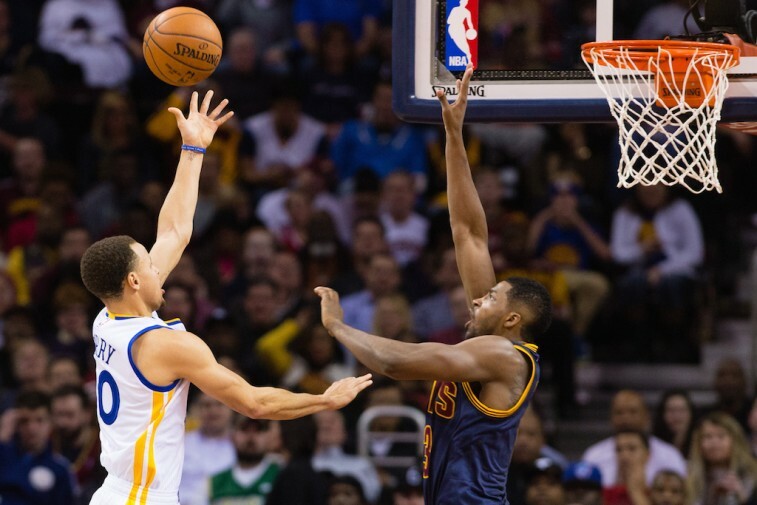 The Cavs, for all intensive purposes, came into the postseason with a defensive rating of just 106.3 (18th of 30). However, this group has slowly become a defensive juggernaut in the postseason — limiting opponents to just 92.9 points per game on 41.1% shooting — and now sporting a defensive rating of 98.5. With each of these teams being balanced on both ends of the floor, it should come down to whichever group is able to do a better job playing its game. Of course, this series has ample story lines, important factors, key matchups, and much more. But have no fear, we’re ready to break it all down for you. Enjoy your Cheat Sheet to the 2015 NBA Finals. You can’t discuss a series between Golden State and Cleveland without first taking a look at each team’s biggest star. After all, the Warriors’ Stephen Curry and the Cavs’ LeBron James are two of the best players on the planet. And on top of that, each has had a fantastic postseason. Curry comes into the Finals averaging 29.2 points, 4.9 rebounds, and 6.4 assists per game. For his part, the King is putting up 27.6 points, 10.4 rebounds, and 8.3 assists a contest. All eyes will certainly be on these two dominant superstars, and we have no doubt they’ll be ready shine under the bright lights. The question is, will their teammates be able to follow suit? The Cavaliers have spent much of the postseason juggling their lineups. 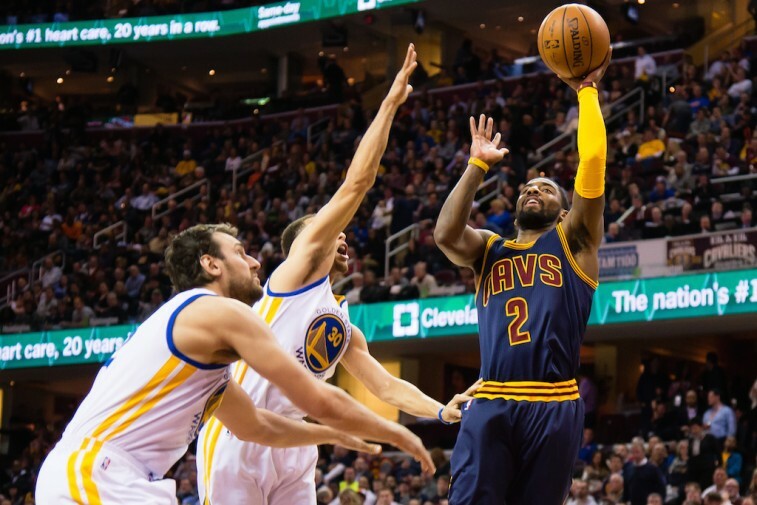 Whether it was Kevin Love going down with a dislocated shoulder, J.R. Smith battling through a two-game suspension, Kyrie Irving trying to play with a bad foot and tendinitis in his knee, and James dealing with cramps and a heavy workload, Cleveland has had to rely on big-time games from a bunch of different sources. Smith and Iman Shumpert — the New York Knicks castoffs — have provided reliable outside shooting and tough perimeter defense. Matthew Dellavedova has been scrappy, aggressive, and unafraid to pull the trigger. And then, of course, there’s Tristan Thompson. He’s been unstoppable on the glass, averaging 9.9 rebounds a game, including 5.9 on the offensive end. Because of his willingness to do the dirty work, the Cavaliers have a 28.5% offensive rebounding percentage and are getting 15.8 second chance points per game. 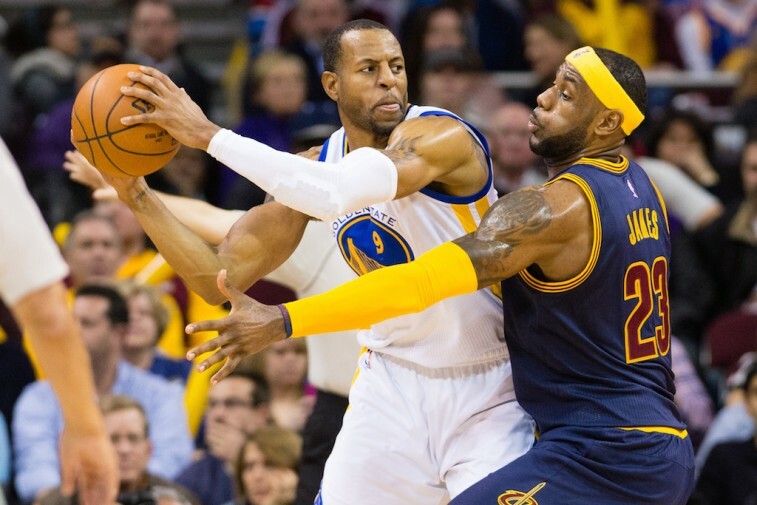 If Golden State wants to stay in this series, they have to be physical with the Cavs. Fortunately, this group is far from soft. Small forward Draymond Green is intense, physical, and the glue that holds this Warriors team together. He’s tough as nails and won’t back down from anyone. He was First-Team All-Defense this season and you can expect him to be tasked with bodying James. Of course, while he is a big cog in the Golden State wheel, there are plenty of other players that Cleveland will have to worry about. Curry is the top shooter on the team, but you can’t forget about fellow Splash Brother Klay Thompson. This guy is averaging 19.7 points per game and connecting on 42.5% of his threes. Cleveland better get a hand in his face or he will light them up. In fact, the Cavs better be prepared to handle a lot of ball movement — Golden State averages 25.1 assists per game — and a lot of shots from the outside (33.2% of the Warriors’ point come off threes). If the Warriors are connecting from deep, the James and company could be in some serious trouble. One of the more important things to remember is that, aside from James and a handful of others, not many players on either team have experienced the NBA Finals before. On top of that, both of these teams have first-year head coaches on the sidelines. Not since the first year of the NBA has this ever happened. There is a good chance that this series starts off a little bit sloppy; with the nerves taking hold of the inexperienced. However, once these groups settle in, you can be sure this will be a fun series. On one end you have the Golden State Warriors. This team has it all: the league’s MVP, the best regular-season record, outside shooters, depth, and confidence. And then there’s the Cleveland Cavaliers. This group has peaked at just the right time. It has the best player in the game, a physical defense, and a supporting cast that is “All In.” There is no doubt that either one of these teams is more than capable of taking home the title. Unfortunately, there can be only one. And this year, we have a feeling the sun will be shining out over the Golden Gate Bridge.